A Velux loft conversion is where a loft space is converted into one or more rooms using Velux windows. They are also known as skylights or roof windows. These types of windows are installed between the existing rafters within the sloped roof. This means the existing loft space is converted without changing the structure of the roof, thus preventing the need for planning permission. If you wish to keep your existing roof, there needs to be adequate headroom for this type of conversion to work. These types of windows offer a unique view, being the sky! This means your room receives maximum daylight. You can even enjoy looking at the stars at night, or watch the clouds go by whilst you lay on your bed. Installation of Velux windows require roof timbers to be cut, and might require extra support. 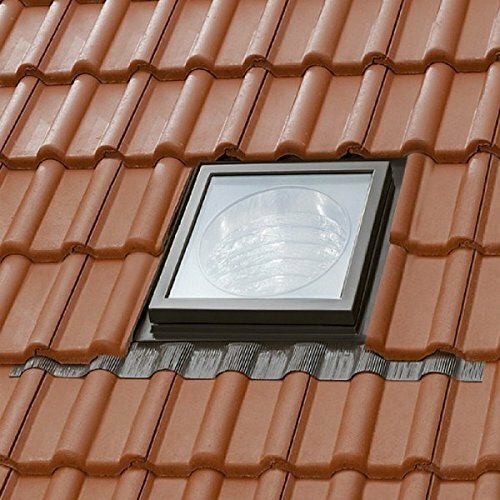 A Velux flashing kit will also be required to ensure your Velux window is water tight. 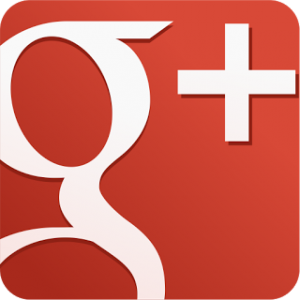 Technical details about different types of Velux and installation requirements can be viewed on the Velux website here. Safety is important when it comes to loft conversions. Therefore scaffolding will likely be required. 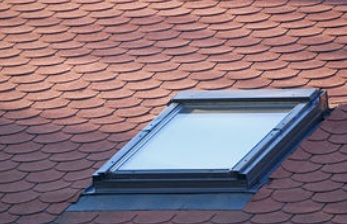 If you need to alter the shape of your roof, then you can combine Velux windows with casement types too. 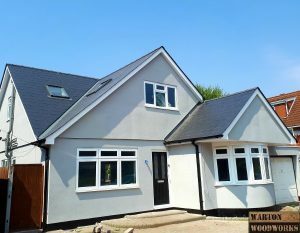 Below is a good example of a conversion that uses 7 Velux windows, along with 4 casement windows. 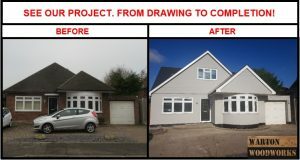 If you wish to see this bungalow loft conversion project from start to finish, click here. The type of conversion in the images below is called a hip to gable loft conversion. Sometimes you may not be able to install a window in a room, or that room does not face the sun. Velux sun tunnels are installed in a pitched roof, and designed to provide natural light into awkward spaces such as corridors, stairwells, bathrooms and even cupboards. You would only install such a window if a normal Velux roof window is not possible. These windows have a flexible tunnel attached to it that can be positioned to redirect the sunlight to a different location within your house. Click here to check out one of these sun tunnels on Amazon. These types of windows are great if you want a balcony on a budget. They are basically a Velux window and balcony in one, and a great addition to any Velux loft conversion. You can read more about these here. 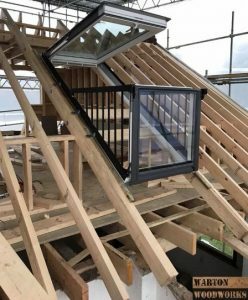 A Velux loft conversion does not require planning permission. This is because the dimensions of the roof structure will not be changed. 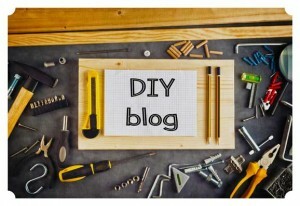 These types of conversions are the cheapest way of converting a loft space. Velux loft conversions are be done very quickly. If you do wish to alter the shape of your roof, then Velux windows can be combined with standard casement ones. Although cheap to install, Velux loft conversions do not offer much usable space. If you are considering such a conversion, then you must take into account the space that will be lost due to installation of a stair case.